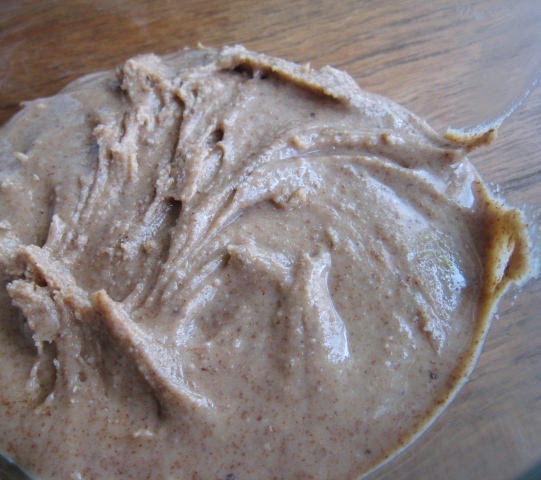 Did any of you suspect that I was going to make my first batch of homemade almond butter!? The lovely Melissa suggested that I try making my own! I always wondered how it would turn out and hearing about her experience made me want to take the leap! Directions: Place 2 cups of raw (or toasted) almonds into food processor. Process for about 15 mins. scraping sides frequently. 2 cups of Almonds makes about 1 jar or a bit less. The almonds will stick to the sides pretty much the entire process. Lots of stopping and scraping involved. Patience is key! Can you believe it was this easy!? In a container it went! I am so happy this was successful- and SO easy! It is foolproof. I didn’t even have to add any oil like I read I would have. I think patience is key. 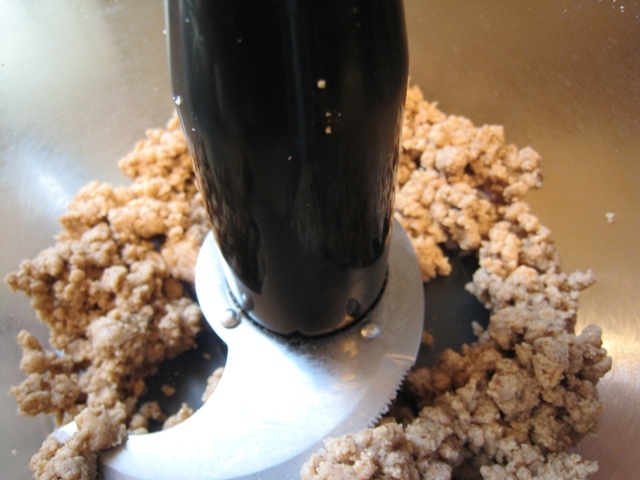 If you process it enough it will eventually get the right consistency without any added oil. My next homemade experiment? Almond milk! HOLY YUM. that is so awesome! makes me really want an almond butter n’ jelly sammie! Wow, that looks so simple. Makes me wonder why I am spending so much for it??? It would be easy to add in additional flavors too, I love vanilla almond butter! I have to go for a bone density scan on Saturday. Do you know if this is the same thing? If so, were there any other side effects from the sketchy radiation injection?? Beautiful!!! I just bought a tub of almonds so I could put some into my Maple Almond Butter Cookies. But I rarely eat nuts (I’m all about the butter! ), so I was worried they’d get stale. Now I’m totally going to make almond butter with them!!! Wow what a great idea, I can’t wait to see how almond milk turns out! I am really excited for the almond milk as well. I have been wondering about homemade almond milk for a long time! Good luck with your kitty – the same thing happened to my cat last year and he had every possible complication! Hopefully yours will be ok with a catheter and some special food. Would this work in a cuisinart blender, as well? I hope so! Oooh I can’t wait to try this! that is so great! i need to try this! we also don’t buy it often due to the cost, but if i can make it on my own! can’t wait to try it! Poor Sketchie – I hope everything is alright! 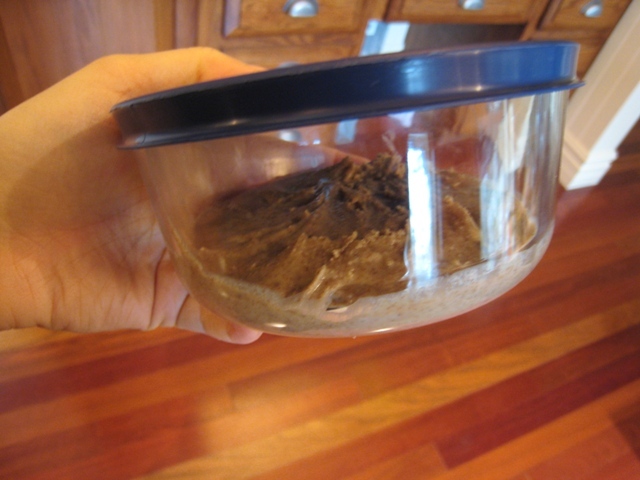 I tried to make almond butter one time and it was an EPIC fail. I don’t know what I did wrong. 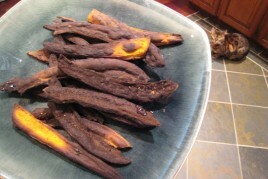 I blanched and peeled the almonds first (per the recipe…what a pain!) so maybe that was it. I processed and processed and processed and I got some gross almond paste. I’ll have to try it again, sans blanching. I need to get myself a food processor lol. wow! the almond butter looks so yummy! i have to try this! That looks SO good…and so simple! Nothing like home made nut butter! Oh no! Poor Sketchie :-(…. I hope they figure things out. That’s pretty cool about the almond butter! I really need to get a food processor!!! I hope you feel better soon. I’ve had the sniffles for a while and I’m hoping they will go away already! Okay, I totally have to try this. You made it look so easy! I would love to do a price comparison for store-bought vs. homemade. Right now, I get mine at Trader Joe’s. Thanks for the inspiration! That looks DELICIOUS! I don’t have a food processor, unfortunately. My parents do at home, though, so I’ll look forward to making some when I take a trip home! Can I believe it was that easy? No! Can I believe you are a GENIUS? Yes! poor sketchie, we went through a bunch with our kittie lately, not fun. Wow, I didn’t know making almond butter was that simple! It looks great! Hope everything goes well with the car. I know how it is to be constantly having something checked out on it. Last year, tons of parts (major and minor) on mine seemed to hit the point where they needed replacing due to wear and tear – it IS 9 years old now so it’s done well… but come on, all at once? Poor kittie.. good luck at the vet’s! That looks fabulous! Thanks for the “how-to”! My Almond Butter turned out exactly like yours, eat it every day noton toast with banana… delicious! WOW, I always wondered why my food processor never made nut butter well. I never let it run long enough. BUT, I now have a Vitamix and it does this in about 2-3 minutes :). Do have to add oil with the vitamix? I just got a vitamix and I want to try it! oh dear.. this is a dangerous post… I am absolutely in love with almond butter right now. Mmmmm. 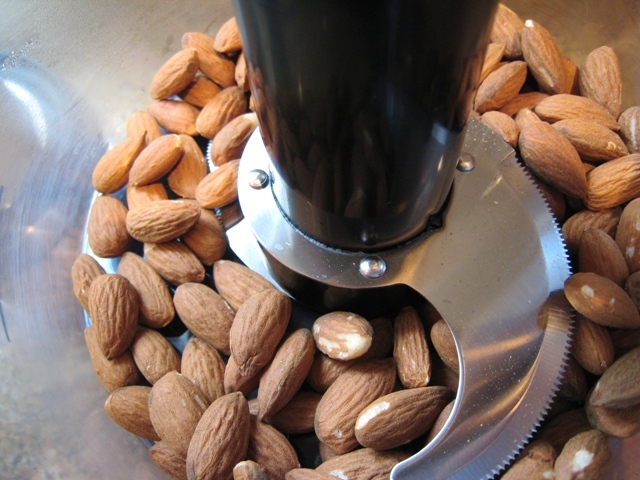 Do you soak your almonds before blending? I was going to ask if you soaked them before processing. I’d like to have my raw almonds activated. I suppose it should work well? Thanks for this description with all the pics. A small jar of almond butter just doubled in price at Whole Foods. I couldn’t get the consistency right processing almonds at home but your description helps a lot. I need the jar consistency for raw chocolate peppermint truffles (my favorite thing!). 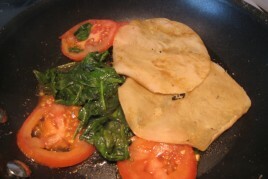 Check out my sister’s blog at www.taichibozeman.com/rawfood if you want the recipe. I made some this morning. It took about 20 minutes of processing but it turned out perfect. I also added 2 tablespoons of pure maple syrup and a pinch of sea salt. It is out of this world. So glad I ran across your recipe. I’ve made a couple of batches so far… I think the age of the almonds may make a difference. 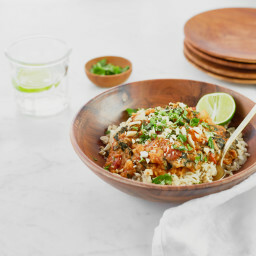 The first time was a great success… the second time I used bulk almonds from a warehouse store and I think they were not as fresh – I had to use oil and it took MUCH longer to get to the consistency I wanted. 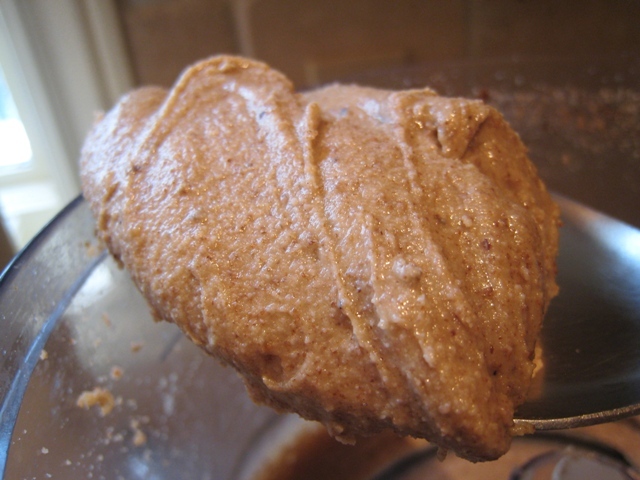 I love the taste of homemade almond butter! Thanks for this post! 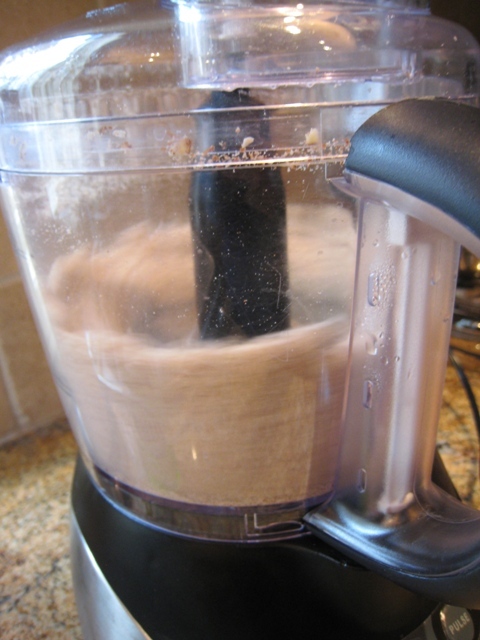 What are you using for a food processor? Melissa, thank you so much for this tip and the great pictures! 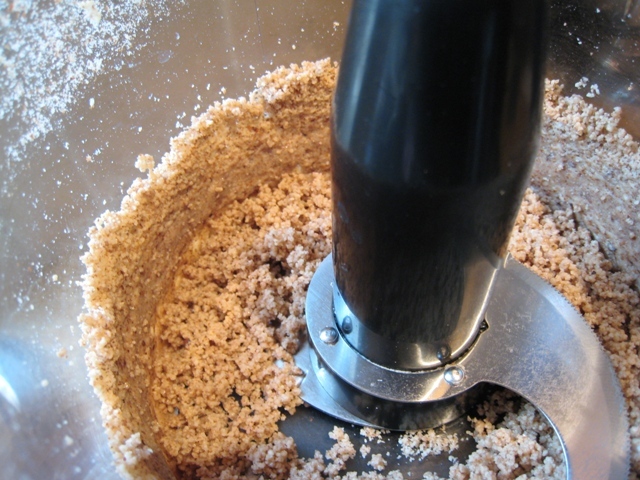 I made the almond butter in a very simple Black & Decker food processor and it took only 7 minutes to get the right consistenc. Just had to use the spatula once. Great!! Just 2 cups of dry almonds and nothing else, so simple. Thanks again and it made me glow!! try raw almond butter, a spoon full of coconut oil (cold press) 2 spoonfulls of carob powder, some agave nectar and stevia and sea salt.. then freeze.. makes amazing fudge. It’s also really good to soak the almonds overnight (or for 6 hours) to remove any mold and dust. Then drain the water (You won’t believe all the gunk that the almonds will expel!) and THEN make the almond butter. Oh yes, that looks so very good. Nothing is better than home-made. You did a wonderful demonstration. Ever try warming a bit and drizzling it over your ice cream? Almost better s.. I almost died for a minute with that last paragraph. I was trying to read really fast at work and I thought you said Eric was having accidents. I thought WOAH I can’t belive she posted that! Then I re-read! My husband saw Marantha Almond Butter in the grocery store, and was interested until he saw that in addition to Almonds it also contains Cane Sugar, Palm Oil, Sea Salt. I just wanted almonds in my almond butter. Your recipe came up first when I googled almond butter. I no idea it was so easy. I had almonds. I have a food processor. Now 15 minutes later I have Almond Butter. Yummy! Thanks so much. Found the following in a health food store. Almond Hazelnut Fruit and Nut Butter. Ingredients include dry roasted almonds and hazelnuts, Canadian wild blueberries, cranberries (sugar, sunflower oil). In 30g serving, sugar is only 2g so it’s great for diabetics. Thought that this info may give others ideas about making the nut butter! It’s absolutely delicious. Your recipe sounds great and I really plan to try it some time, possibly in my food chopper. Hope that it will do! Nice to save money also! Angela have you ever tried making your own almond milk? I learned to do it at a raw food class and was shocked by how easy it is! You just soak the almonds over night, drain them add double the water and blend! Then strain the milk to get out the chunkies, add some agave( and cacoa if you want chocolate milk) and voila! amazing beautiful white delicious almond milk with no weird stuff in it! We learnt how to do super easy coconut milk and coconut Kefir to if you are interested! :) Enjoy! Yes I have…it was fun! Oh i just made this, I found it hard to find Raw almond butter, and i made this today, sooo good, i could eat it with a big spoon. Love the suggestions of add flavours. Can anyone tell me where to buy bulk raw almonds at a good price? How much are you paying per lb? Another winner, Angela! You haven’t given me a bad suggestion yet! Thank you! i just made a batch of this!! absolutely amazing, it was so easy, took a little long and i had to scrape the sides of my processor a fair bit until it would just run smoothly. but i wanted to ask, when should i use it by? a week or more? and should i keep it in the fridge or just in my pantry. thanks heaps!! Hey Sarah, It should last in the fridge for up to 1 month. hope this helps! Just made this for the first time. The recent salmonella scare was motivation to do so. Your directions were so helpful … man do you ever have to be patient! I eventually had to add some water to the mixture, and as soon as I did, butter resulted. Thanks. Love your recipes! 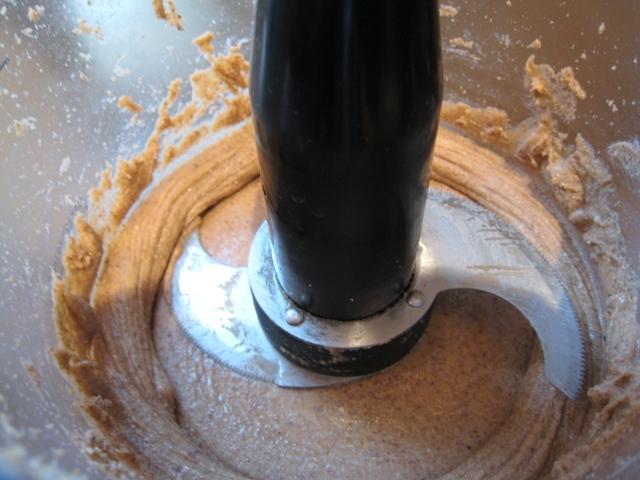 Is it possible to make almond butter with an immersion blender (stick blender) seeing as I dont have a blender yet? Use almond meal instead of raw almonds? Thank you so very much for sharing your recipes!!!! They are so easy and healthy! I also like to DIY ! This Almond Butter is amazing! 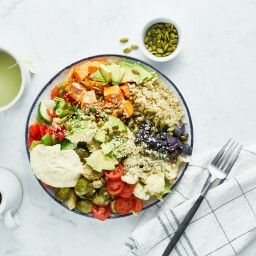 Love your “raw” recipes! God Bless you! First time making this today; I used a blender and it turned out beautifully. It didn’t take as long as I’d thought it would and it was very delicious (love almonds). Definitely going to make again soon. Thank you for sharing this, Angela – your recipes never fail to amaze me! For how long can you keep the almond butter in the fridge? Hi Melissa, It should last in the fridge for up to 1 month in an airtight container. Hope this helps! Patience is KEY. I found you need to really commit a block of time to really do this. I almost gave up halfway through but just waiting a little bit longer creates awesome results. Thank you! You say 2 cups of raw almonds makes 1 jar. How much is that in cups, ounces, or grams? Hi Lorna, 2 cups of raw almonds makes approximately 1 cup (250 mL) of almond butter. I hope that helps!